Starting in Zargeb - what Kaplan refers to as the eastern bastion of the West - Balkan Ghosts traces its way through the historically and geographically rich regions of Kosovo, Albania, Macedonia and Serbia and in doing so outlines how it was that Yugoslavia did not so much as deteriorate suddenly into internecine warfare, but gradually, step by step through the 1980's. Heavily influenced by Dame Rebecca's West's much lauded book Black Lamb and Grey Falcon which he carried with him everywhere in Yugoslavia, Kaplan is drawn to the region to investigate the nature of another looming cataclysm. In doing so, he experiences once again, that history rhymes or, in this case, echoes of time's past. Beyond the events that lead to World War 1, Bosnia itself, however, features little in Kaplan's journey and book. It was reported though, that both President and Mrs Clinton read a copy of Balkan Ghosts and the history of ethnic rivalry "encouraged the President's pessimism about the region, and - so it is said - was a factor in his decision not to launch an overt military response in support of the Bosnian Moslems". If true, this speaks volumes for the reach of Balkan Ghosts at the time. Consistent with the large number of countries that comprise the Balkans, the book does not solely focus on the former country of Yugoslavia and in fact only a quarter of the book is devoted to this previously political region. Meaning "mountains" in Turkish, Balkan Ghosts devotes itself mostly to the present day countries of Romania, Moldova and Bulgaria which themselves are dominated by their mountainous regions which helped shape the culture and personalities of these lands. Here Kaplan details his own journeys through these less travelled parts of the world, which had barely opened up to outside travellers when he visited. Crammed full of history, Kaplan's journey details all the rulers and empires who have devastated these countries for their own benefit right up until (then) present day rulers such as Nicolai Ceausescu. Covering off the historical importance of particular regions that have changed hands amongst competing nations, Kaplan does a great job of deciphering this most complex of geographical jigsaw puzzles and outlining why tensions are ever prevalent. 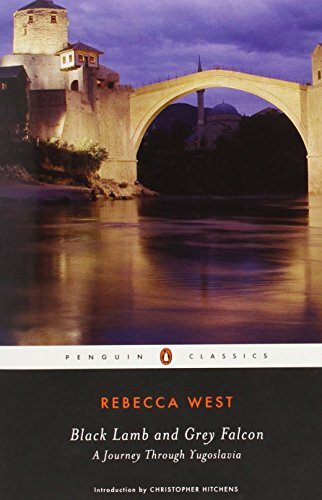 Within its pages, Balkan Ghosts also details the shameful and inhumane treatment of the Jewish people during the second World War, the extent of which it occurred within this part of the world, I was previously unaware of. Balkan Ghosts finishes off in Greece, a country that would like to think itself separate and apart from the rest of the countries that comprise the Balkans. Having spent seven years living in Greece, Kaplan writes from a position of some authority and argues persuasively from his "living experience", focussing mostly on Greece's modern political atmosphere, that Greece is assuredly part of the Balkans club. Recent economic events in Greece would seem to have borne this out. This is an important book, which helps enable us to gain a modicum of understanding to this vastly complex, important and troublesome region. Whilst it can be argued that Balkan Ghosts provides stereotypical and simplistic views of the people within these regions, and that it paints an overly bleak picture, simply ignoring these messages is something that we can ill afford to do. Given the vast breadth of history within these regions, Balkan Ghosts should not be viewed as the the only authoritative piece of work for this area. Indeed, it refers to itself as an "idiosyncratic travel book". However, it is most definitely more than this and is a book that holds extreme relevance even some 25 years after it is written, and one which is very much recommended.